This is the main conclusion of the newly published USmartConsumer Smart Metering Landscape Report presented at the final conference, held on the back of the European Utility Week 2016 last November in Barcelona. Attended by over 300 sector professionals from around the world and under the patronage of the EUW’16 conference organisation, the latest edition of the European Smart Metering Landscape Report was presented and a line-up of high level experts elaborated on the latest developments of engaging smart metering services and the need for well-designed guidelines to boost consumer interest in smart metering and increase benefits to EU citizens and businesses. In this third and last project newsletter, the latest edition of the European Landscape report and the main outcomes of the final project conference on smart metering and consumer engagement will be highlighted. The European Smart Metering Landscape report 2016 is out now! To support the European market dissemination of successful innovations in the field of smart metering services for electricity, gas and district heating consumers, USmartConsumer regularly publishes the European Landscape Report. 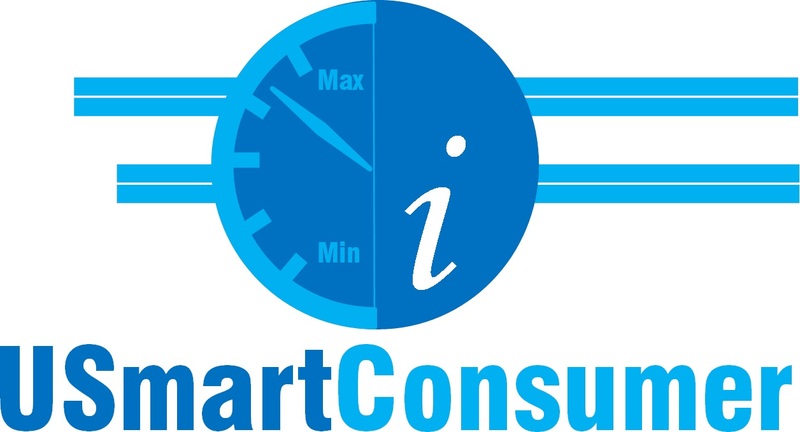 This comprehensive research report provides European sector professionals with important market information regarding the rollouts and stateof- art of smart metering services through indepth country profiles on the current smart metering services market in all 28 EU-member states and Norway. “In 2016, the massive deployment of smart metering in Europe, with an accumulated number of 80 million smart meters installed (of a total of 300 million residential customers), has been ratified, constituting a major breakthrough in innovation for our society.” This is the main conclusions of the Smart Metering Landscape Report 2016, according to the USmartConsumer project coordinator Mr. Francisco Puente. 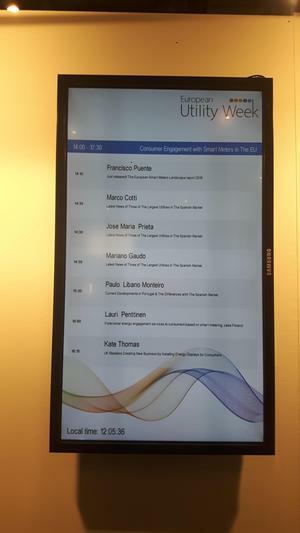 “And if you also observe the regulations published in the different Member States, together with the number of meters installed and services to consumers (residential customers), it can be concluded that the EU countries definitely evolve at different speeds”, Mr Puente concluded at the EUW2016. respect to consumer engagement based on smart meter data in their respective countries. Marco Cotti, Manager of Commercial Operations of the Iberia Network of Endesa Distribución, elaborated on the progress in smart metering, smart city and announced the expected deployment of more than 9 million smart meters by the end of 2016.
such as the hourly curve, monthly curve, comparatives between consumers or contracted power versus the demanded. Progress in the deployment of smart meters of Gas Natural Fenosa Mariano Gaudó, Head of Infrastructure for the Digital Network of Gas Natural Fenosa (Unión Fenosa Distribución), presented the progress in the deployment of smart meters of the company, with a total of 3.7 million by 2018.
distribution network or their electricity consumption, facilitating the transparency of information to this segment of customers. EDP Distribución presents InvoGrid Paulo Libano, Innovation Technology Director at EDP Distribución, described the development of the InvoGrid project. This project which dates back to 2010 as a small pilot in the city of Évora, represents the largescale deployment of the 2016-2017 period, where they hope to achieve a 20% share of smart metering, finalizing the installation of smart meters in 2023. Paulo presented the different technologies used under a holistic approach (M2M, AMI, GPRS, HAN, Internet), along with improvements in technical and commercial operations. The second part of the conference was focussed on the progress made in EU Member States with respect to the successful introduction of smart metering services for consumers. services and automated energy savings. Tapping into these needs, utilities and new entrants are already offering smart HEM and demand response services to consumers in Finland. Also pioneer DSO’s are developing better digital services to better connect with their customers, based on smart metering and smart grid technologies and customer centric service development. service ‘pay-as-you-go’ as a way of making life easier for energy customers in the UK. According to own research, the in-home display for managing and reducing energy use solved the question on why are people really adopting smart prepayment. segmentation research in eight EU member States. This research indicates the importance of good consumer analysis in order to fulfil the consumer’s needs, expectations and interests. next day electricity prices and analysis of own historic energy consumption. Act” which was passed in Germany in 2016. Focal points of the presentation were its regulatory, technical and financial implications, the aspect of consumer protection and data security and added customer benefit. pilot actions carried out in Italy on consumer awareness on energy domestic consumption in the USmartConsumer project. She pointed out that in Italy the roll out of smart meters is complete however the smart meters service market is lagging behind as Italian consumers consider their energy bill as a tax independent from their behaviour.